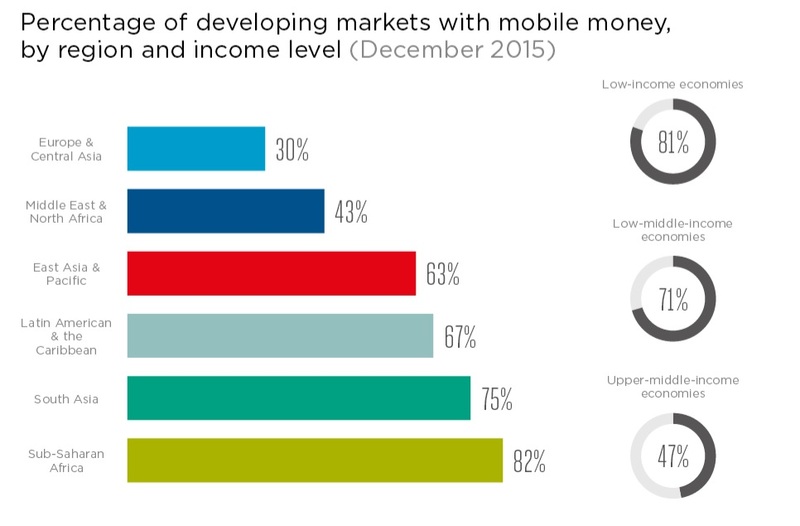 The latest GSMA State of the Industry report on Mobile Money is out this month and the numbers look great in the developing world. 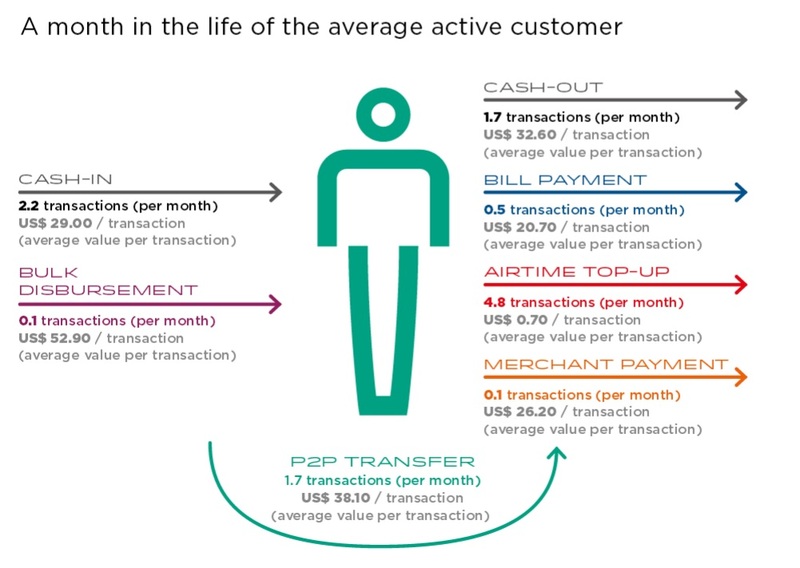 The report frames the industry’s next challenge as the need to grow the platform beyond the basics of airtime purchase and person to person transfer. This is where there is a critical need for MNOs to segment their userbase prior to designing fresh approaches to increase adoption and build an ecosystem. 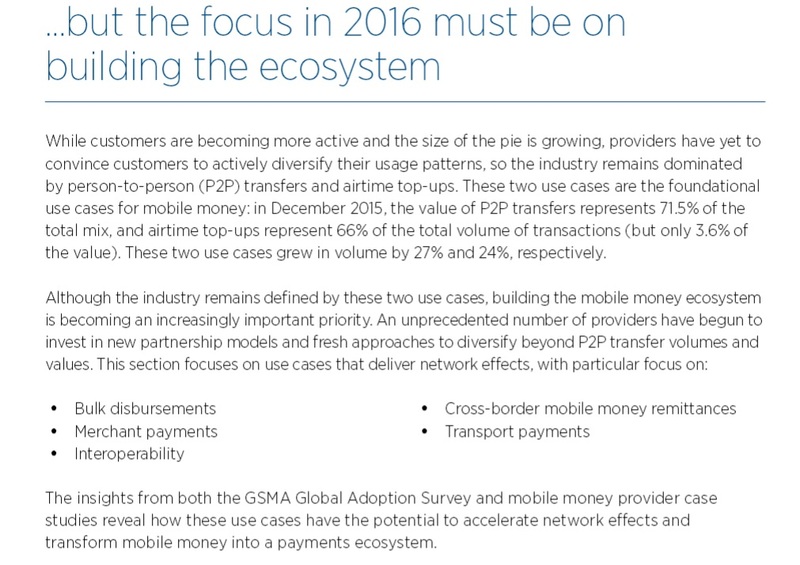 According to the report, only a few MNOs have data on urban vs rural, much less on gender. The report’s fashioning of the data available into the form of an “average user” will hinder the progress more than it will help. Look at the geographic spread across widely varying economies, there’s no such thing as an average user when it comes to a tool closely related to one’s patterns of cash flow and income sources. Usage patterns reflect cash flows – why else would the prepaid business model be dominant in these same locations? 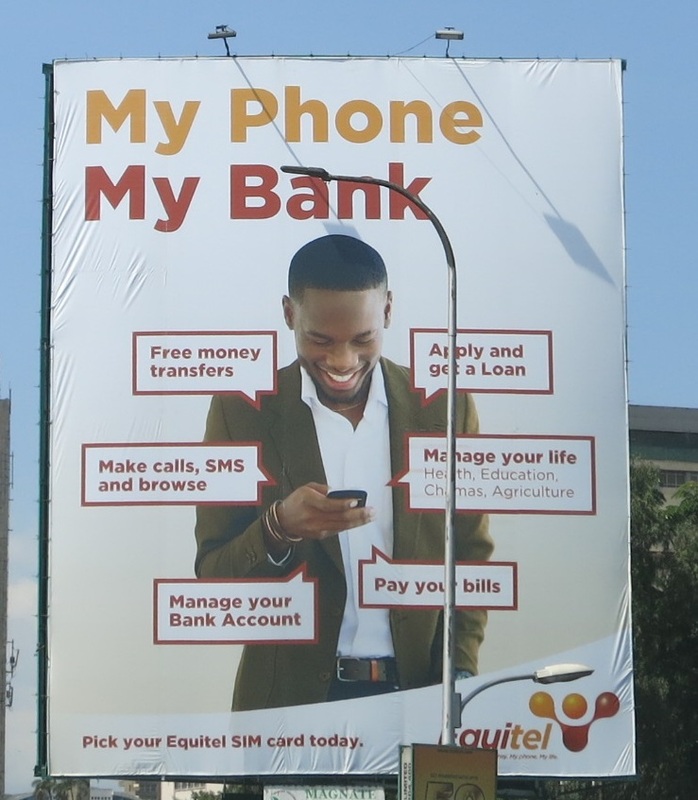 The hard work of disaggregating the information into region specific customer profiles must be done if solutions are to work effectively beyond teh basics of P2P transfer and airtime purchase – mobile money’s equivalent of a phone call and an sms. Many of the reasons why its important to segment by rural/urban, and the proportion of users in the informal sector and on prepaid subscriptions are covered in my old posts on Google’s BebaPay fiasco – a smartphone app enabled NFC solution for cashless public transport payments introduced in Kenya a few years ago. Economic ecosystems, particularly those with a heavy dose of the informal sector, and closer links to rural hinterlands, such as those common in sub Sahara, will need to be mapped out and understood before interventions can be designed to lower barriers to adoption. These use cases may not be plug and play components or readymade low hanging fruit, as imagined by the writers of this report. They need grounding in the context of the existing operating environment – formal or informal, urban or rural – and, the characteristics of the informal and rural economies, depending on the segment.